Born in 1932, Petula Clark, perhaps best known to Gen Y and Z and whateverthefuck for the song "Downtown," has released a new single. It's called "Cut Copy Me" and it might be the best song of 2013 so far, in any genre, but specifically in a British, downbeat, electronic, love, alt, rock. Keep in mind, that "Downtown" song about "when you're alone and life is treating you lonely... you can always go..." was released back in 1964, when Clark was 32. It was a prime piece of '60s pop elegance, and one of the most, stuck-in-our-heads songs of all time. Clark has clearly grown with the times and continued to write amazing, honest, sweet lyrics. 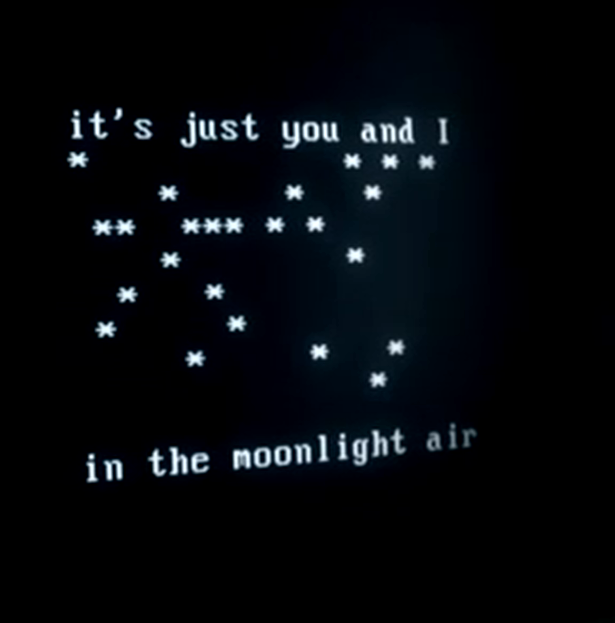 The computer metaphor in "Cut Copy Me" serves to drive the video, but it also speaks to the distance and automation of modern love. The simple request in that title, to be removed from one document or file and placed in another, leaving no trace of the past, is something we've all hoped for at times. But, it's clear here and that Clark sees this as a romantic electronic future dream. The truth is that love is always messy, always complicated, and there's no keyboard macro to end one love and create another. This might be 2013's through-thread song. We'll see. Regardless. I hope I'm even half this prescient, open and creative when I'm 80. Thank you, Petula Clark.